Don’t get caught up in the excitement of registering anything you can, thinking you’re the first people to discover a trend. Invest in domain names people are buying. I got a tweet from a person who wanted me to look at his domain hacks. He’s NOT taking two words and splitting them between the words with a dot, like the new gTLDs are doing. He’s NOT taking a single word in a massive industry like ecommerce or insurance and splitting them at the end using a ccTLD as the two letter ending, like stor.es. He’s taking marginal multiple words or phrases with low search volume and adding a ccTLD. Think WebProgrammer with a dot before the final .er. The search phrase “web programmer” has an average monthly exact match search volume of 900. Making a hack out of it makes it less than worthless. These types of investments are a liability to you. Meaning, they’re going to consume your free cash flow year after year, and no end user is ever going to come looking for them because they’re not an ego play and they’re not a branded shortener. Let’s look at the ego play. You look at Matt Mullenweg, the founder of WordPress, he bought ma.tt for his blog domain name. It’s short, it’s cool. People wonder how his blog resolves to ma.tt because most people don’t know about country code top-level domains. You look at k.im purchased by Kim Dotcom, the internet entrepreneur who founded the file hosting service Megaupload and legally changed his surname to Dotcom in 2005. He owns kim.com but had to have k.im as well. Those are the shortest domain names you can own for someone’s name when that person has the tens of thousands of dollars to buy them. They have an ego or they want the notoriety, they have the money, they buy it. Period. The second option for these types of hacks are branded URL shorteners like t.co owned by Twitter or goo.gl owned by Google. These domain names make sense, they’re shorter but still branded and these companies don’t have to use someone else’s URL shortener. But WebsiteDomainStor.es that ends in .es, that’s a liability. That’s not an asset that someone’s going to want someday. You’ll be spending renewal after renewal after renewal on those, and you’re never going to see a return on your investment from an end user buyer. Invest in quality domain names that end users want to buy. Unless you’re having fun and you have more money than you know what to do with — in that case, buy all the domains you want regardless of the quality. Thank you, Michael. Great vid! Really well explained. I have been in this “excited” phase many a time and wasted money in doing so. Exactly why I stay away from hacks. They’re a waste of money! I’ve got excited in the past myself and bought some garbage names (even probably still own and renew some of them). I also got into buying geo base names for a while and found that those too can be difficult sell. Yup… good advice. I like 2 & 3 word search phrases that have good numbers on Google search and are in industries that seem to have good, strong digital marketing awareness. I am glad I came across this golden tip. This remains true now and it is so important to understand the simple concept of supply and demand. You cannot get domains that have no demand and hope one day someone will buy it. You must focus on doing good research and determine the demand of a domain you are thinking of buying. 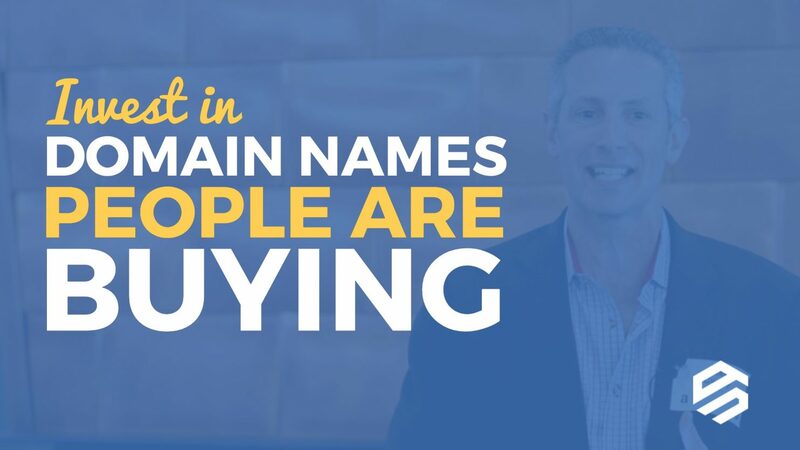 People tend to make quick decisions without taking the time to checking this one key factor before buying a domain. I am guilty of doing so but one I realized how wrong I was I decided to take my time when it came to buying domains. Thanks for the advice Michael! !